As most of you know, for some years now the Festival has had a partnership with Blackpool Carers Centre. Via a number of ventures and through the generosity of participants, a goodly sum is raised at each Festival for this really admirable cause. In January each year the Centre holds a mammoth fundraising Winter Ball with most of the town’s worthies attending. 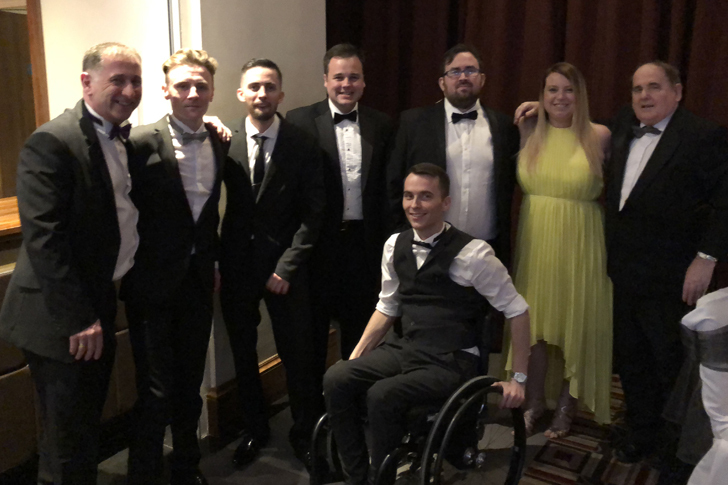 At the 2018 Ball 320 people attended and over £15,000 was raised! The Festival committee and partners took two tables, most leaving with their wallets and purses empty! We don’t want you to leave Blackpool on Easter Monday with your wallets and purses empty – but if you see the opportunity to support what really is a wonderful charity, please do. For the past five years, The President’s Reception has been held on the Wednesday before Easter weekend. This launches the Festival and invited are members of the committee, officers of Blackpool Council, staff from the Sports’ Centre, our sponsors and other friends of the Festival. The event has previously been held at Blackpool Cricket Club, the Imperial Hotel and, this year, Blackpool Carers’ Centre at its Beaverbrook House base. You will be able to watch proceedings LIVE on our Facebook page, so keep an eye on our timeline.